The awesome Casey Eischen, who is not only a fitness and nutrition expert certified in working with women after breast cancer related surgery or treatment, but also had a prophylactic mastectomy herself in November ’12, has recorded another great video. This one is all about pre-op preparation – how to set yourself up for a successful recovery following breast cancer related surgery. Watch this 8.5 minute webisode for some great tips and tricks to prep for surgery! Also check out my own preparing for surgery checklist. 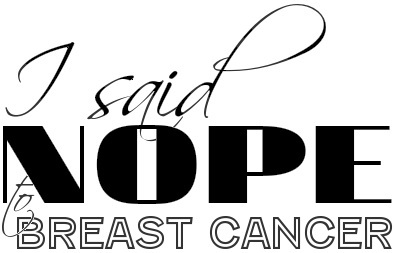 This entry was posted in All, Exchange Surgery, PBM surgery and tagged BRCA, breast cancer, Exercise, HBOC, health, Prophylactic surgery, Training on October 22, 2013 by nope2BC.